Congress president Y S Jaganmohan Reddy 'Modis puppets' and dubbed the proposed Federal Front as a 'puppets front'. In a strong reaction to the meeting Jagan had with TRS working president K T Rama Rao in Hyderabad to discuss the Federal Front, Andhra Pradesh Finance Minister and TDP politburo member Yanamala Ramakrishnudu said the relationship between the TRS and the YSRC that so far remained secret has now come out in the open. But the YSRC debunked TDP's charge and maintained that the meeting between the two leaders was only related to the Federal Front and not for a tie-up between TRS and the YSRC. "All those who did injustice to Andhra Pradesh are now ganging up. The meeting between KTR and Jagan happened under the direction of Prime Minister Narendra Modi. Both Jagan and KCR are Modi's puppets," Yanamala said in a statement. The YSRC chiefs claim that he would secure Special Category Status to Andhra Pradesh with the help of the TRS exposed a conspiracy, he said. veteran leader alleged. Yanamala said the proposed front was only a ploy to prevent the coming together of all anti-BJP parties across the country. 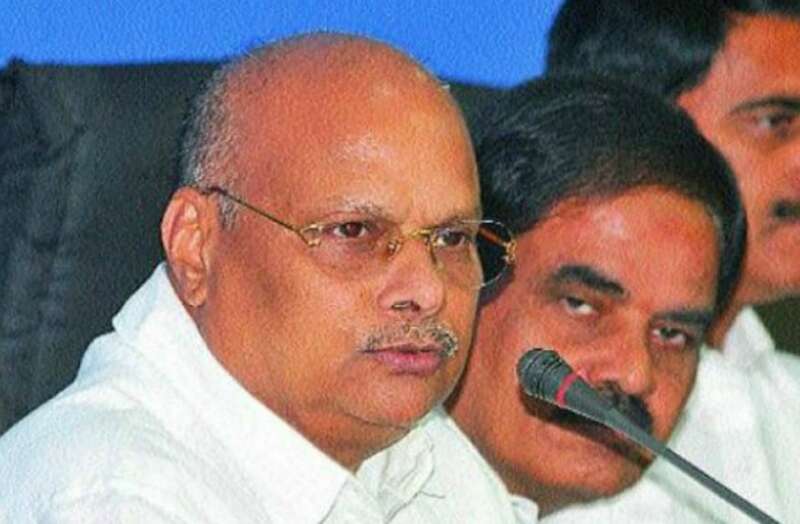 At separate press conferences, state ministers D U Rao and N Anand Babu also found fault with YSR Congress for seeking to 'align' with the TRS that had been working against the interests of Andhra Pradesh. The TRS, they pointed out, always opposed Special Category Status to Andhra Pradesh and had also made no effort to resolve pending issues in accordance with the AP Reorganisation Act, 2014. Telangana Chief Minister, though many contentious issues between the two states remained unresolved. Jagan owes an explanation to the people on this," the ministers said. The YSRC, however, condemned TDPs charge and asserted that the states interests were always paramount for Jagan. "Was it not Chandrababu Naidu who sought an alliance with the TRS? It was only after KCR rejected the proposal that the TDP joined hands with the Congress," YSRC Political Affairs Committee member Ambati Rambabu said, recalling a statement made by the TDP president. He wondered why the TDP leaders were raising a hue and cry over the Jagan-KTR meeting when the YSRC chief was working to protect the interests of Andhra Pradesh. It was Chandrababu Naidu who repeatedly changed his stance on the special category status while Jagan consistently fought for it, Rambabu said.